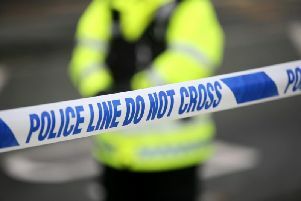 A path close to Whiteabbey War Memorial has been closed after damage was discovered below the structure of the walkway. A local resident contacted the Times on January 30 to highlight the closure. A section of the path has been closed. Commenting on the issue, a spokesperson for Antrim and Newtowanbbey Borough Council said: “Following a recent inspection of the path, our facilities team noted the structure below the path had been damaged by sea action. “The path has been closed as a temporary safety measure, pending further investigation.